COLUMBUS—The Franklin County Commissioners have appointed Carla Williams-Scott to the Columbus Metropolitan Library (CML) Board of Trustees. She fulfills a seven-year term that commenced Jan. 1, 2019 and ends Dec. 31, 2025. Williams-Scott was officially sworn in during today’s Trustee meeting. 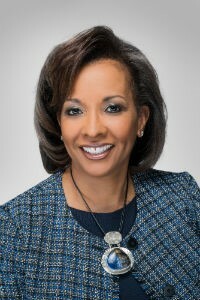 Williams-Scott currently serves as Director of the City of Columbus Dept. of Neighborhoods. She fills the seat recently vacated by Erika Clark Jones who, after 14 years on the Board of Trustees, completed her service at the end of 2018. The officer positions are elected every year. CML’s seven-member Board of Trustees is responsible for guiding major decisions about library strategies and operations. This includes everything from capital projects to the customer code of conduct.